Asaeli has a passion for seeing change occur for youth. After a violent period of his life during the earlier years of high school, it was a Peer Mediation Course that took place at the school which helped him learn about conflict resolution, the power of the voice and led him to the motivation to change. Asaeli soon realised that making a change out there meant first making change within himself. A powerful speech at Nga Manu Korero by his close friend in 2016 also made him see things from a culture perspective. Asaeli begun to realise how much mainstream media affects our Maori culture and how it slowly, but surely, puts identity as Maori second and identity as gang affiliated individuals first. This lead to an understanding that this issue could potentially wipe out Maori culture, and has influenced the direction of his life significantly. After graduating his senior year at High School in 2016, the first to complete school in his family, Asaeli starts a Bachelor of Applied Social Work at North Tec in 2018. 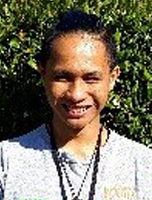 His goal is to be a Social Worker to give back to his community and to make a difference for young people in Whangarei. Jacinta is a proud Polynesian who has recently turned 19. During her years at high school, she was recognised with Te Kura Hourua ki Whangaruru - Te Ngakau Nui award 2015. In 2016 she received the Kamo High School Principal award and the Māori pupil endeavour award. Jacinta has a passion for education and is currently studying Mātauranga Māori at Te Wānanga o Raukawa. In her spare time, she loves to get involved with community work. In the past, she has been a youth leader for a suicide prevention group and also a participant in the future leader's programme 2017. Currently, she is a Whangārei Youth Space youth trustee and the deputy chair of the Whangārei youth advisory group. Jacinta is always ready to upskill and hopes to use these skills to empower her people in the future. "What is the most important thing in the world? It is people! It is people! It is people!" 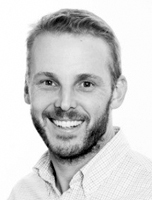 Lee joined the board in January 2015 and brings a wealth of commercial expertise to the board. 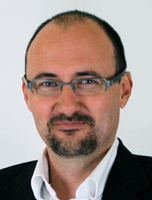 Lee is a senior sales and marketing leader, currently responsible for all aspects of the Small and Medium Enterprise Segment for Vodafone including all revenue streams. Lee has over 11 years’ experience in the telecommunications industry, having held positions in Marketing, Finance and the Executive Teams. Helen has been doing various forms of youth work in the youth community of Whangarei for the past three years Including previously working for 24/7 Youth Work and Whangarei Youth Community Trust as a trust administrator as well as leading and mentoring youth in her local Church community. Helen has completed her Diploma in Business at the beginning of 2018; during her journey over the past few years Helen really discovered her passion for young people and seeing them grow into their potential. Helen is now focusing on her calling to pursue this through a Church ministry context. Helen is now finishing her Theological studies at Carey Baptist College as well as following a Youth Pastoral Leadership Ministry track and is currently placed at Whangarei Central Baptist Church as a Student Youth Pastor. Nā tō rourou, nā taku rourou ka ora ai te iwi, With your food basket and my food basket the people will thrive. Emma joined the board in January 2018. As an organisational development strategist, she brings global leadership experience across a diverse range of industries including technology, banking, financial services and retail. 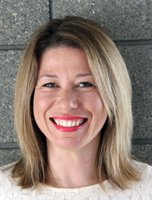 Emma's strengths have a particular focus on driving organisational delivery through engaged and motivated teams. Being an internationally certified coach Emma is passionate about helping people be the best they can be - which is why she is proud to be associated with an organisation like Whangarei Youth Space. Grace is a young professional who is passionate about growth in business and society. 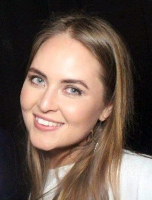 Grace has completed a Bachelor of Commerce, majoring in Innovation and Entrepreneurship, and is currently an Account Manager at Expedia Group based in Auckland where she also holds contacts. A favourite saying of hers is “You don’t know what you don’t know”, which to her encompasses that education and collaboration with a diverse range of people are the keys to growth and success. Grace’s goal as a Board Member of Whangarei Youth Space is to be a bridge for the community to get people talking, specifically in regards to Whangarei Youth being supported and encouraged to build bright futures. 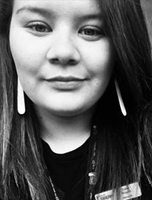 Daisy Rogers is a young youth professional with a passion for the wellbeing of taitamariki. Daisy was part of a youth group as she was growing up and with the help of her mentors Daisy was able to really find herself. Here Daisy was introduced to youth work and the avenues it could take her down. Because of her youth worker’s contribution Daisy decided to do a Degree in Social Work straight out of high school. Being a young professional Daisy was encouraged to develop, grow and contribute her voice and ideas. Daisy realises the majority of youth don't get this opportunity. Daisy was moved when she heard that Youth Space values the voice of their youth. 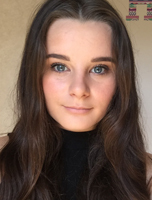 Daisy brings passion and motivation to her Youth Trustee role, “Because of my own youth experience I find that I have a unique understanding and relatability of young people and their needs”. Heemi is a passionate youth advocate who was raised in the North. During his time as a youth in Whangarei Heemi witnessed and endured the many hardships, this only inspired him to pursue greater learning to help with his future goals of bettering the future for youth in Whangarei. 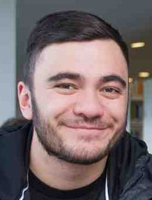 He moved to Wellington completed a degree at Victoria University (Bachelor of Arts) and is now back in the north working for Te Puni Kōkiri working as a regional advisor for their Rangatahi Development and Leadership programme. With the New Year comes new goals, so Heemi is now joining the WYS board as a cultural advisor. He hopes to bring a positive vibe and supportive attitude to the team so that we can see the progress for rangatahi within the North.